"As first-time home buyers, we definitely gave Andrei a run for his money. He must have shown us 70 or more houses. In hindsight we were so fickle and difficult to deal with, but he remained professional and patient throughout. He found us a house that we have grown into and absolutely love. Im writing this review three years later.... and we're still so appreciative for all his efforts. He's a great realtor and we highly recommend him." "I met Andrei just by chance. I put my house on the market (for sale by owner) and Andrei just contacted me to show the house to one of his clients. Since day one I noticed how different Andrei was to all realtors I had dealt with in the past. I had purchased three properties in the past and sold two. Every time I had dealt with a different realtor and I still had not found one that I could call back again for my next transaction. Andrei is the best realtor I have ever dealt with and I would never go to any other realtor moving forward. He always takes care of any given issues very promptly and professionally. Andrei fought for me since the beginning and up until the last minute. I found my dream home thanks to Andrei, since I had missed this property on the website. Thanks to Andrei I got an amazing price and a place I can really call home (hoping to close next month)." "Andrei Balaj did an outstanding job in marketing and selling our property that was in need of TLC while sticking to a tight budget and timeframe. He is very knowleageble of the real estate market and regulations and provided us with valuable insight into key aspects of the transaction. Andrei managed the needed upgrades to the property with the utmost professionalism, responsiveness and excellent negotiation skills. We highly recommend him for your real estate needs." "Andrei helped us find our dream home within our budget. He really came through in only showing us houses within our criteria. When it came down to buying the house he was available same day to help with negotiations and facilitating communications with the seller. We were on a tight timeline so this level of service was extremely important and helped lower the stress of buying our first home." "Andrei really honed in on what are needs were and made appropriate suggestions. Had knowledge of the buying process end to end and made for a surprisingly pleasant purchasing experience. Andrei gets my highest recommendation." "There could have been no better agent to coordinate the perfect farmhouse we were looking for. His patience and knowledge were far surpassed anything we expected. Also reached us out to great people for a mortgage and attorney could have never found a better agent hands down very highly recommended A+++"
"Andrei help my wife and i find our first home. He worked long hours and showed a lot of patience with us during this whole process. We saw over 20 house and i really thought Andrei was just as excited to see the house as we were. I will alway use Andrei for all my realtor needs. Thank you again." "Andrei was a very informative realtor. His knowledge of Stamford, and the general Fairfield county area was very impressive. Andrei not only helped me get a great deal on my condo, but also helped learning the area before moving in. Andrei was well prepared with additional properties after our original visit and really tailored the visits to exactly what I was looking for in the Stamford area. Andrei also made himself available after all the contracts were signed with any questions I had about the property or area. In my opinion, an honest and respectable realtors, stays in contact with his clients making sure they are happy with their purchase. That is exactly what Andrei has done!" "The idea of purchasing a home as a single mom was a terrifying idea to me as real estate and mortgage was a complete foreign language to me. Andrei made the entire process a complete pleasure. He was highly processional and went beyond of the call of duty to make it very easy for me to purchase my home. He explained every detail of the process to me and always made himself available for any questions. He took the time to fully understand my situation and what I was after. He always presented the pros and cons of every place. He has never tried to push me to make a purchase like some other agents have done in the past and made me feel like I had a best friend by my side throughout the entire process instead of someone that was just trying to make a sale. I have recommended Andrei to all of my family and friends and if I ever need to sell or buy, I will defiantly be reaching out him :)." "Andrei made our whole experience between searching for a house and the purchasing part run so smoothly. He is very knowledgeable in this field and answered all of our questions in a timely fashion, as well as being very accomadating with our schedules. It's been 2 months since we bought our townhouse and my husband and I were happy with the final negotiations Andrei has been there every step of the way and we know that we can rely on him for any changes in the future." "Andrei was very professional yet personable. He really took into consideration our needs and wants and showed us only houses that fit those criteria. Through the whole process he was always easy to reach, quick to respond to our questions, and always gave us sound advise. After nearly 2 years of being in our home, Andrei has still made himself available to answer our questions (regarding loan, etc.) 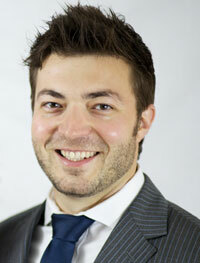 I would highly recommend Andrei as your real estate agent!" "I have worked with Andrei for over five years. He has assisted me with finding and closing on several condominium units, some of which were complex transactions (foreclosure, short sale). In my experience, his attention to detail, timely follow-through, and persistence in getting the deal done is unmatched. I would highly recommend his services to anyone looking to close a transaction quickly and efficiently." "Working with Andrei was time well spent. He showed me about 5 houses and one of those, is now the house I live in. So he understood what I was looking for and no time was wasted. If you call/text or email him he will respond right away so that was very helpful to me. His negotiation skills were also up to par. He took notes on what was important or not important to me and with that information created & delivered a nice thorough summary of what I was willing to pay for the property and why. He also can recommend professional, friendly and very good key personnel such as; inspectors, mortgage brokers, electricians, etc... I'll be calling him when it's time to sell my house! Thanks and best of luck!" "When my wife and I finally came across Andrei our experience was like night and day compared to the last 3 agents we had. He always responded at a reasonable time, very knowledgeable in the real estate field and his area. He was also great at finding what we were interested in. We even got the price we wanted." "Andrei was my realtor and he was phenomenal. I told him exactly what I was looking for and he kept my best interest in mind for my ideal home. He wasn't about just trying to make a sale and was more involved with my actual interest. He gave me positive feedback on all my questions and didn't just "Yes me'. He treated my experience as if he was buying the house. He also set the right expectations the whole time and let me know what I was up against. I plan on buying another rental property this year and you can bet I'll be calling him again." "Andrei worked with my wife and me to sell our Condo. He was very upfront about all of the various factors that would go into selling our condo, and made us feel extremely comfortable throughout the entire process. He was spot on with his estimate regarding the price of our condo, and because we listened to his advice, our Condo sold within a week. Andrei made every effort to keep my with and me in the loop at all times, and ensured that we had up to the date information both during the process of being on the market, as well as when our condo was sold. I could not recommend him enough to other's looking for an experienced agent with extensive local contacts, and an exceptionally strong knowledge of the local market." "Andrei represented my wife and I as a buyers agent for a house we bought in Fairfield CT. Andrei was patient, knowledgeable, and had the negotiation skills to get us the home we wanted. Andrei knows the Fairfield County marketplace very well and I recommend him to people I know that are looking for a top notch realtor."